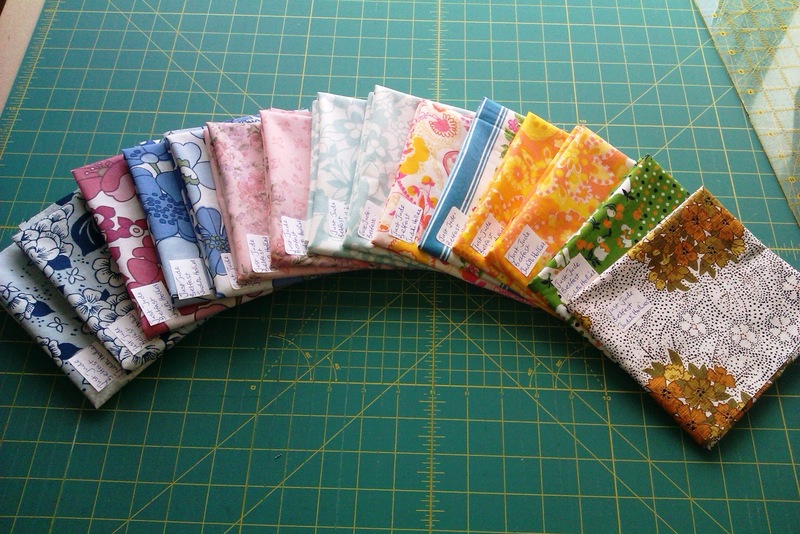 I’m taking part in the UK & Ireland Vintage Sheets FQ swap, being hosted by the super lovely Mary, in January 2013. I’ve been collecting vintage fabrics from charity shops for some time now, but am frustrated at how rarely I find any (esp. compared to my mainland UK counterparts!!). During half term week, me and the kids spent an afternoon going through at least 8 charity shops, and I didn’t find one vintage sheet, or anything resembling one! Boo! 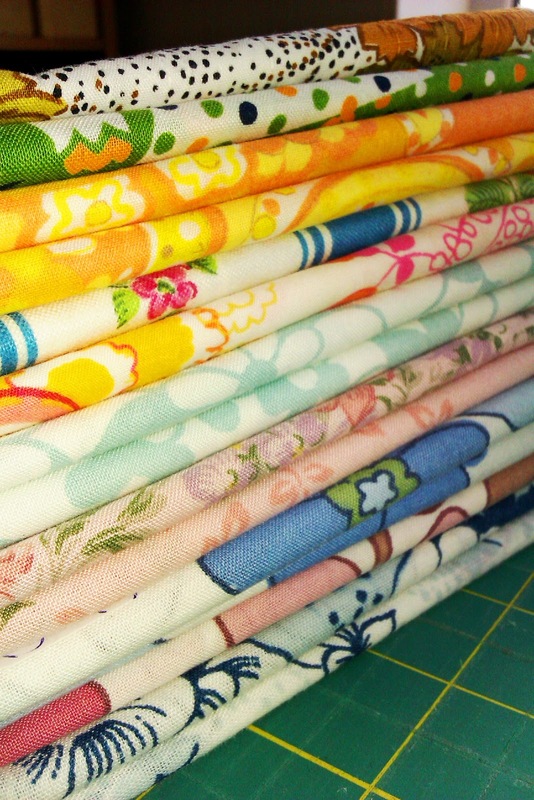 But I have enough gathered up to send 15 fat quarters to Mary this week. When Mary has all the lovelies gathered in from the participants, she will redistribute them & I will get 15 different ones back! Win! Win! What I really need in my vintage stash are more reds, greens & yellows (a few more pinks, purples and oranges would be nice too!). Browns are not allowed in this swap, even though I love vintage browns! So I guess I’ll just have to keep those for myself! There is still loads of time to join in if you fancy having a swap! You can join the flickr group here and post pics of your vintage fqs you would like to swap. There are also some lovely inspiration pics in the group of what you can make when you get your fqs back! Previous Previous post: These are a few of my favourite ….